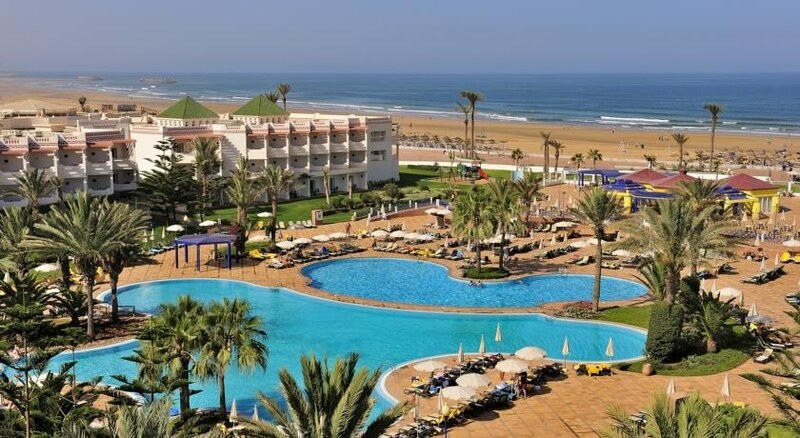 Hotel Iberostar Founty Beach is located on the beachfront in the town of Agadir, Morocco, in its vicinity guests can enjoy magnificent beaches, water-sports or golf. Tourist information is also offered to know the city centre of the city (located 1km away), the Medina, the Kasbah, the souk or the characteristic Tzinit market. The airport is 28km from the hotel. The rooms are characterised by their modern style decor, with wooden furniture and where light colours and their beautiful terraces overlooking the Atlantic Ocean take centre stage. They are distributed in doubles, family rooms, suites and junior suite and are equipped with air conditioning, flat screen TV, desk, safe, minibar and a beautiful bathroom decorated with mosaics and including a hairdryer and complimentary toiletries. Some of the rooms have a seating area, some are independent, with sofas and can offer views of the ocean, pool or gardens. There are connecting rooms, adapted for people with reduced mobility and a cot service. 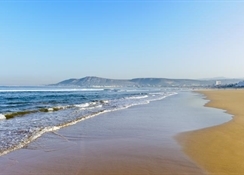 At the Hotel Iberostar Founty Beach guests can find two restaurants, one offering traditional Moroccan and international cuisine for breakfasts, lunches and dinners and another specialising in Moroccan cuisine. The three bars, one by the pool, another in the magnificent lobby and another hosting live music and entertainment, serve a variety of beverages. The Hotel Iberostar Founty Beach features a health and wellness centre, which houses the sauna, spa, heated pool, a relaxation area and where massage service is offered. Three swimming pools, one of them for children make sure you have ample fun in the Moroccan weather. The hotel building is surrounded by a solarium area with sun loungers, gardens and palm trees, with direct access to the beach, a gym, tennis courts, football field, basketball or volleyball court, as well as a children's playroom. The facilities are completed with four rooms for holding banquets and meetings, with a maximum capacity for 400 people. 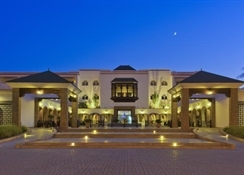 The hotel provides children and adult entertainment service, theme nights of Moroccan culture and cuisine, sports and entertainment activities, car rental, currency exchange, laundry, ironing babysitting, souvenir shops, towels for the pool, internet connection, hairdresser and a beauty salon. Had a great time.. lovely hotel.. nice chilled holiday.. met some great people and staff lovely very accommodating.